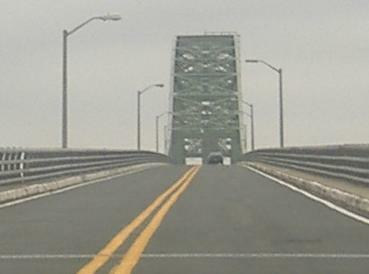 Looking north from Robert Moses State Park at the two-lane single span connecting Robert Moses and Captree State Parks, courtesy Scott Colbert. 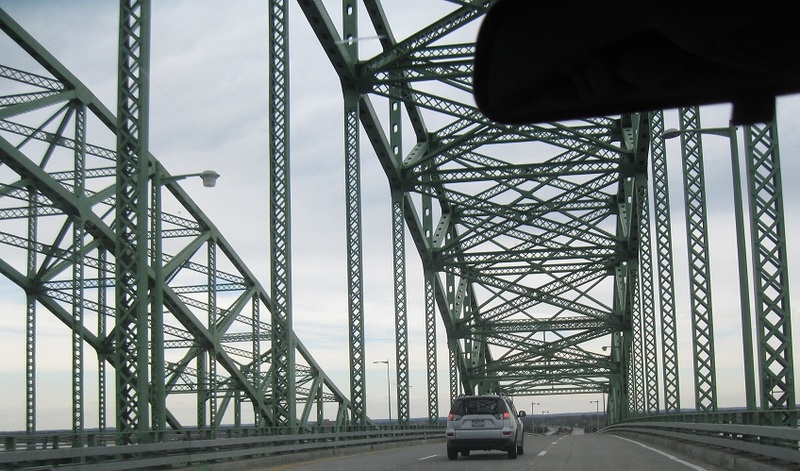 You can drive that bridge in my video. 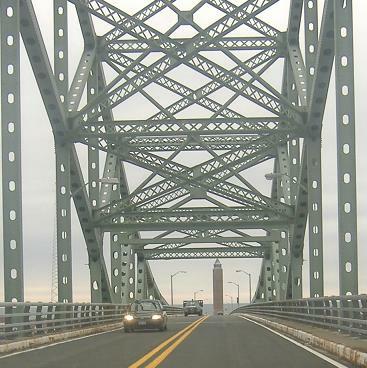 Continuing north on the multi-lane twinned bridge to Long Island, first photo courtesy Scott Colbert. 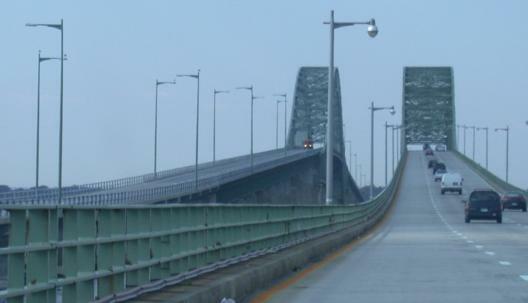 The southbound bridge on the left is the original, and fits with the other bridge to the south, but enough traffic must occasionally want to get off Long Island to have warranted the pair. 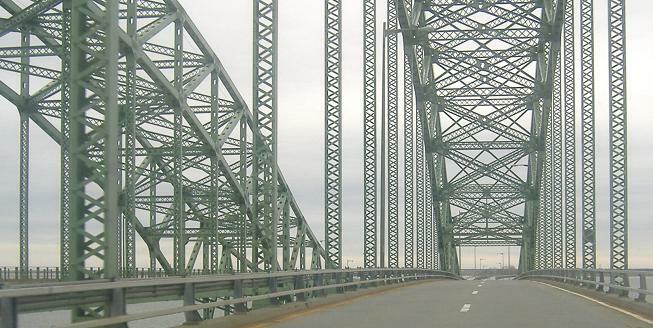 I'm surprised the left lane of the new bridge isn't reversible to accommodate traffic peaks during the summer. I can think of at least three thigns wrong with these signs, courtesy Mike Byrnes. They have two different shield shapes, and neither one is correct. 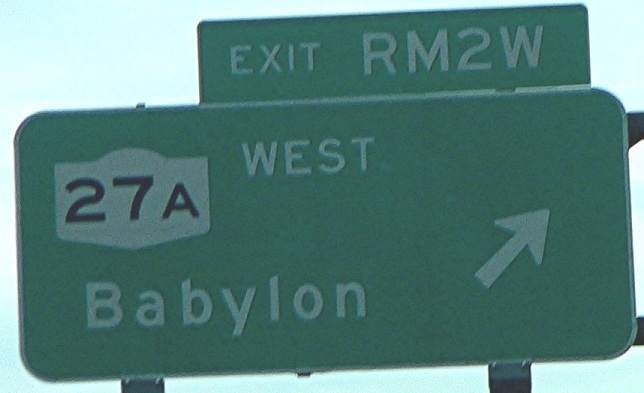 Directional exit suffixes like "W" have been outlawed, and the first letter of "West" should be larger. No comment on the "RM" prefix, which I'm pretty sure is also forbidden. 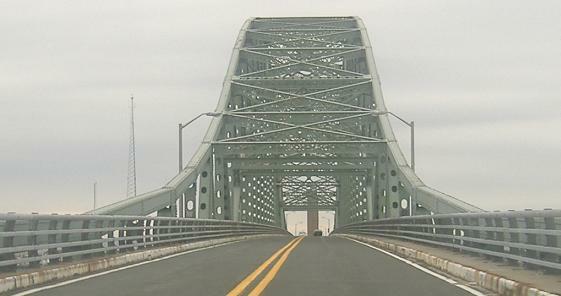 Back south across the narrower original span from Long Island to Captree Island. Someone's missing the point of having an EXIT ONLY arrow. Courtesy Scott Colbert. 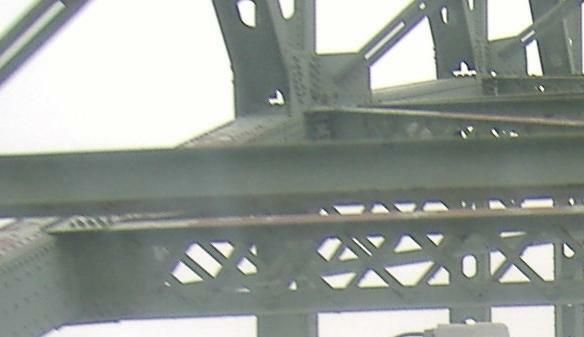 Continuing south across the second bridge to Robert Moses State Park with a detailed look at the trusswork. 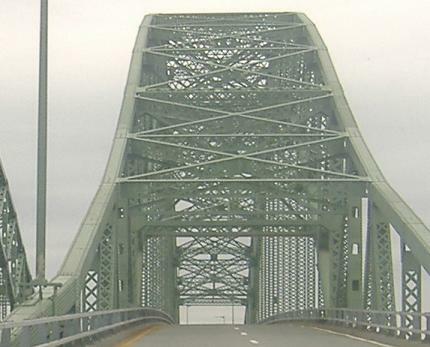 Remember to watch my northbound video across this bridge. 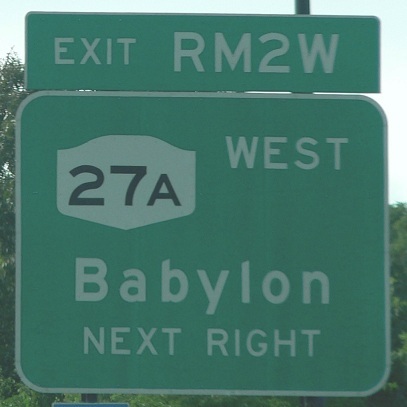 The highway ends at the Robert Moses Water Tower, identical in design to the Jones Beach Water Tower at the southern end of the Wantagh State Parkway at Ocean Parkway (see the latter page for that tower).